Materialise NV announced that it is the first company in the world to receive FDA clearance for software used to 3D print anatomical models for diagnostic applications. In August 2017, FDA announced that software intended to create output files used for 3D printing patient-specific anatomical models for diagnostic purposes is a Class II medical device and would need to go through the regulatory process. Materialise is the first company to develop software that conforms to these regulations and that can be used in U.S. hospitals in combination with a compatible 3D printer. Materialise Mimics inPrint software is used for pre-operative planning and the fabrication of physical models for diagnostic purposes, including patient management, treatment and surgeon-to-surgeon communication. 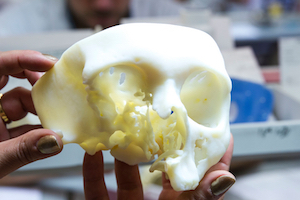 Hospitals increasingly are integrating 3D printing services in their medical practices as they recognize the added value they bring to personalized patient care, said Materialise. That point was reinforced in a recent white paper published by SME, a nonprofit organization promoting manufacturing technology. The report noted that 16 of the top 20 hospitals, as ranked by U.S. News and World Report, have implemented a medical 3D-printing strategy and that anatomical models ranked highest (71%) of all 3D-printing applications in the healthcare sector. FDA clearance supports the creation of point-of-care 3D printing facilities in hospitals. Anatomical models help surgeons to make better-informed decisions and to accurately plan their surgeries, writes Materialise in the announcement. 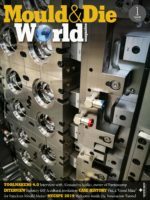 “Materialise has nearly three decades of experience in developing certified medical solutions that create a better and healthier world,” said Wilfried Vancraen, Materialise CEO. In addition to 3D-printed surgical models, Materialise Medical offers virtual planning software tools and patient-specific surgical guides and implants.